Stretch Fabric Display Stands are an ideal back wall or divider to your client’s exhibition space. Easy to assemble and transport. Available in sizes 2.4m or 3m. 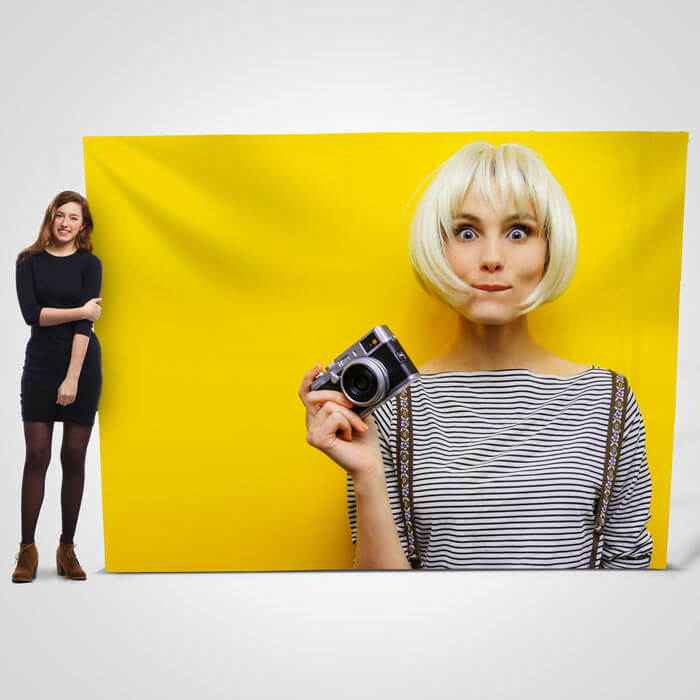 For instant assembly, choose a Fabric Pop Up Display Stand. The graphic is affixed to the stand when in use or in storage for fast assembly. Choose from either 3x3 or 3x4. 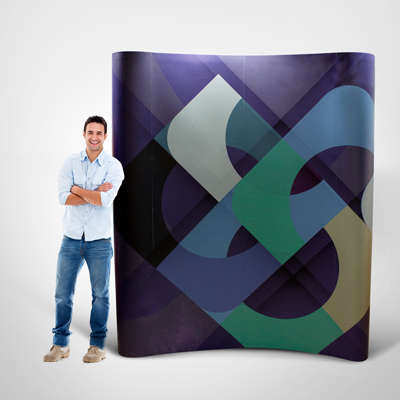 Ensure your client stands out from the crowd with a sturdy Rigid Display Stand. Complete with lights, these stands are available straight or curved in sizes 3x2 and 3x3. We have a variety of Portable Exhibition Stands with a carry case for hassle-free transportation. 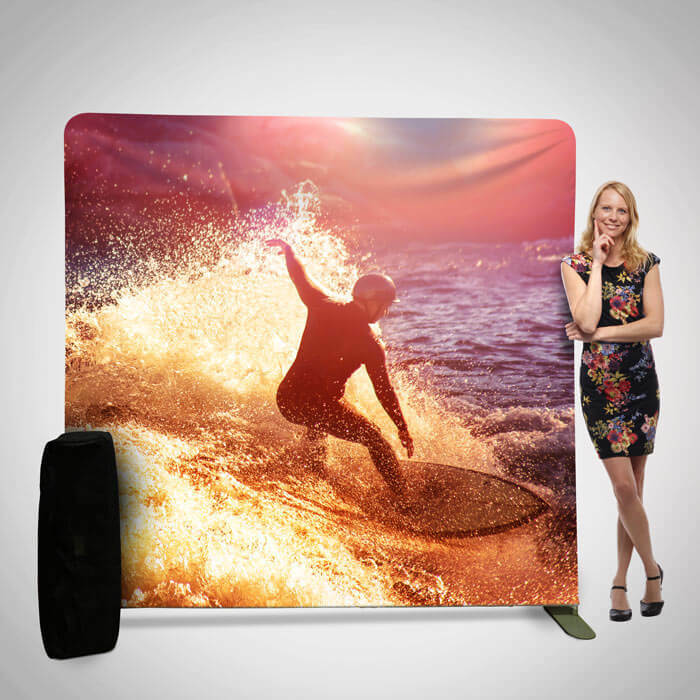 Create some excitement at events, exhibitions and trade shows by displaying eye-catching portable display stands, alongside promotional branded messages. Our sturdy, reusable pop-up displays offer a fast solution that is excellent value for money. Whether your client requires an ultra-portable Stretch Fabric Stand, Fabric Pop up Display Stand or a sturdy Rigid Display Stand we have a stand to suit.